Select a blogspot blog,then we can select a entire blog or within certain of time selected posts convert to pdf file.The time for conversion are depend how many posts to be converted. 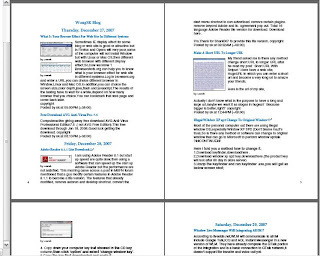 After conversion,the pdf file that produced are block by replication. (except cap screen).You can choose their Blog2print to print out (need to pay). 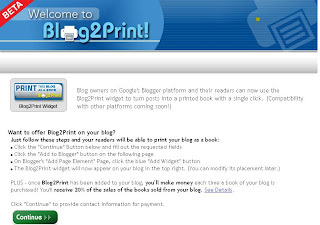 However ,there are some restrictions,blog2print not support chinese blog and compatible with blogspot platform only.